It’s never too soon to start teaching children the beautiful qualities of kindness, compassion, and empathy. 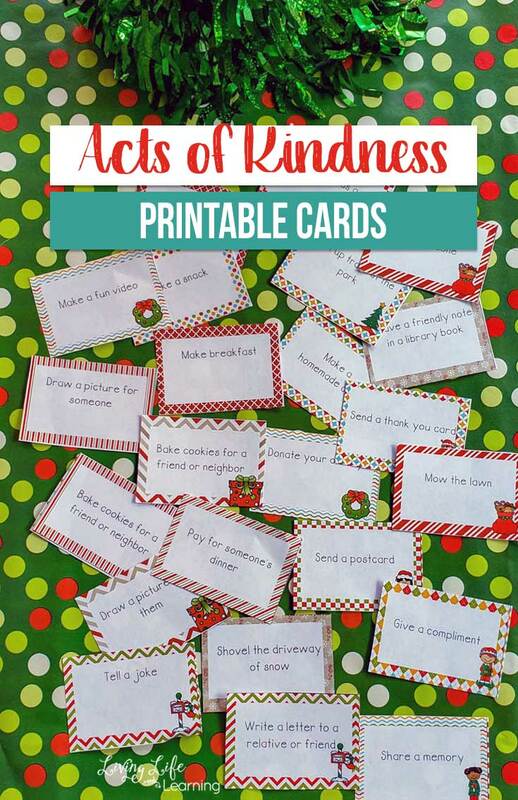 But, maybe you’re not sure where to begin… These Acts of Kindness Cards will help your child come up with nice tasks to do for others and encourage them to continue all year long! These Acts of Kindness Cards from Living Life and Learning will inspire your child with nice tasks to do for others. They are Christmas-themed, since Christmas is a time of giving and love, but they are useful all year long! Get your FREE Acts of Kindness Cards today! Oh I absolutely love these. We are starting to focus our homeschool for the next coming weeks on Christmas and will definitely incorporate these.